Operating the OLYMPIA 250 is a study in simplicity. The resurfacing controls are within easy reach of the operator. Once the 250 resurfacer is engaged it is a simple matter of driving around the ice surface. The ice is scraped and the galvanized steel flood pipes and towel bar provide for a smooth even ice surface. 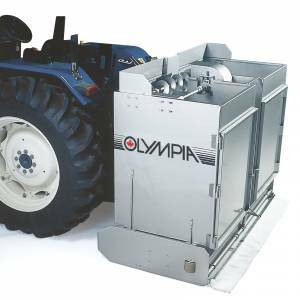 Maintenance of the OLYMPIA 250 is simple and straight forward and can be handled easily by your staff. 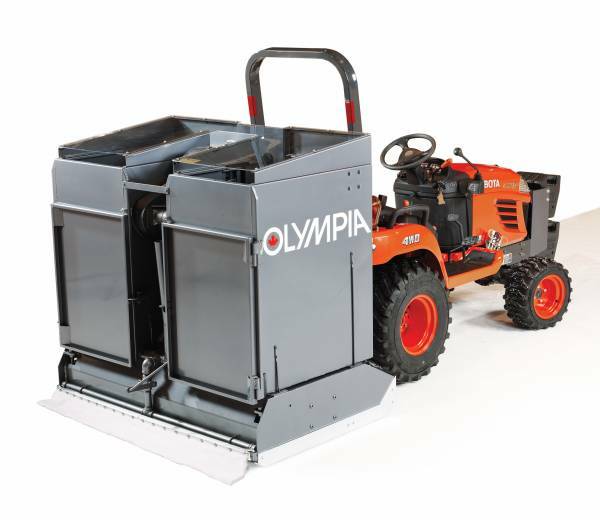 For small training rinks to leisure operations, the OLYMPIA 250 is the ideal solution. The proven snow elevator-chain-paddle system moves the scrapings from the ice to the snow bin effortlessly. The wide rear-access doors on the OLYMPIA 250’s snow bin allows for ease of dumping. The standard three-point hitch, combined with a hydraulic quick coupler hook up to Kubota’s hydraulic power system is safe and convenient to use, while freeing the tractor for other uses during the off season.